Call Go Synthetic Lubes at (262) 696-9506 to get the best products for your vehicle's maintenance. What happens when a vehicle malfunctions due to worn down tires, a weak engine, or a faulty braking system? It's more difficult to drive, which makes it use up more energy (and as a result, more fuel) to get you from point A to point B. For that reason, the first tip is to keep your vehicle in optimum shape. For instance, taking it to the mechanic on a regular basis for routine inspections (around twice a year) can help guarantee that all of its components will be working as expected. Likewise, it is recommended that you use only the top products for your vehicle's maintenance, so you can ensure that you will get the best results for it, including a more fuel-efficient vehicle. Another thing to keep in mind is that you should always pay attention to your vehicle. This, so you can spot problems early on and prevent them from becoming a bigger and more expensive hassle that can make you waste fuel. 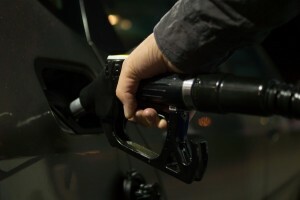 Something else that you may not think about, but that can actually make a huge difference in your vehicle's fuel efficiency, is the type of gasoline and gasoline additives you use for it. That's why it is imperative that you opt for products of the highest quality. After all, if you go for cheap ones, you'll likely get cheap results that may end up costing you more in the long run. For instance, you should know that you can trust AMSOIL's P.i. Performance Improver Gasoline Additive, since it will help you get the most mileage out of the fuel (and money) that you pour into your vehicle. Make smart investments that will allow you to guarantee that your vehicle will work smoothly and perfectly (including how it utilizes its fuel) for a lot longer. If you require the most effective synthetic oil in Pewaukee to maintain your engine, call Go Synthetic Lubes at (262) 696-9506 or take a look at AMSOIL's online shop. For some reason, some people think that they can treat their vehicle however they like and not suffer the consequences of their poor driving choices. Unfortunately, the exact opposite is true: the worse driver you are, the more your vehicle (and your wallet by association) will suffer. For example, if you're constantly stepping on the pedal, slamming on your brakes, making sharp turns, hitting the curb, and swerving around, you can bet that you'll see your vehicle's components wear down a lot faster. Not only that but if you drive like a madman, you can expect to experience an increase in how much fuel your vehicle uses up. This is because the engine has to work harder (and will need more gas) in order to keep up with your suddenly-changing driving instructions. Instead, drive gently, at a slower, steadier pace so that your vehicle's condition and its fuel efficiency can remain in good shape. Sometimes, the heat can get intense inside your vehicle. In those cases, you likely want to try anything to keep yourself a bit cooler. However, you should know that how you freshen up inside your vehicle can have negative effects in how your vehicle uses up the fuel. On the one hand, turning the A/C on will make your vehicle waste more gas. On the other, rolling the windows down will affect the vehicle's aerodynamics, which will have the same effect. Consider your choices and opt for the one that makes more sense for you and for your fuel usage. Last but not least, even though your vehicle is a great tool to carry a lot of objects, having a vehicle that's filled to the brim with stuff can be incredibly wasteful. This is because, as the vehicle gets heavier, the engine will have to work harder to move it around, which means it will need to use up more fuel to get you to your destination. For that reason, you should keep your vehicle lighter so you can be a more fuel-conscious driver. For all of your vehicle maintenance products, including an effective synthetic oil in Pewaukee, contact Go Synthetic Lubes at (262) 696-9506.